Engineered to provide high level of packaging performance and protection for garments. 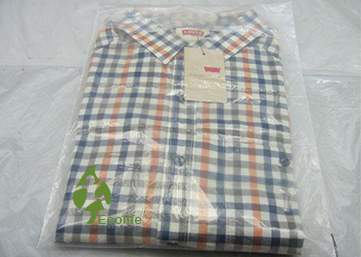 Breathable Material ROHS Compliant and do no contain any heavy metals or toxic material. Made from renewable resources and therefore enable brands to reduce the carbon footprint of their products. 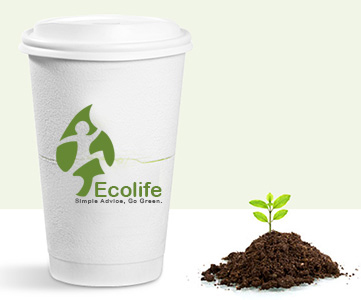 Certified compostable as per international standards - ASTM D 6400 (USA), EN 13432 (EUROPE) and ISO 17088. Sustainable bio degradable packaging& Compostable (End of Life). Our bags are made up of bio plastics are clearly on the advance We offer an extensive range which are made up of eco-friendly material. The Carry Bags offered by us are available in different sizes and makes. Our Products do not contain polyethylene or poly propylene. 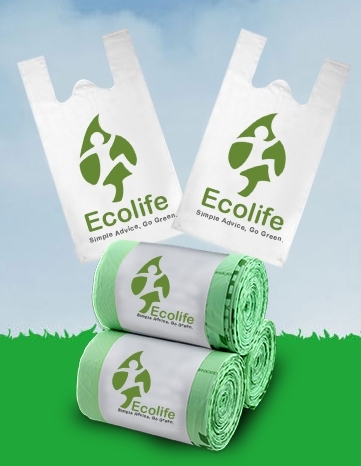 Single use bags offer additional benefit of potential final use as biowaste bag. Also reusable versions available (50-60 microns). Compostable according to EN 13432 (industrial composting). Non-recyclable within current post consumer plastic waste streams. Renewable energy recovery possible (incineration). Potential reduction of CO2footprint, GHG emissions and fossil energy consumption. Potential food waste diversion from landfill. Potential resulting increase in amount of collected biowaste. Our Products can be used in departmental stores, hotels, restaurants & shopping malls. There is no larger market segment in the plastics industry than the packaging segment. More than a third of all plastics are converted into packaging, that is approximately 100 million tons worldwide. 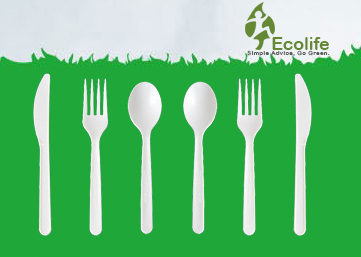 We Supply Our Biodegradable & Compostable Products to many Industries. Our Products are used in Packaging of Auto Parts, Dust Covers and Commercial Applications. We also Supply Film for lamination with Paper and Aluminium Foil. Our Film offers best barrier and Sealing Capacity. 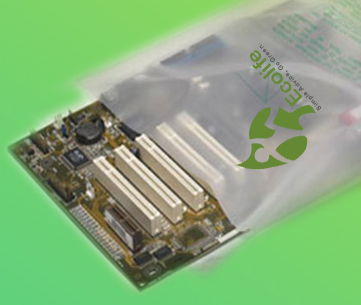 A Real Environmentally Friendly Packaging Bag For Magazines/Leaflets/Newsletter/Advertising Article Products Which Is Biodegradable And Compostable. We offer Perforation films & bags also. Made from GMO-Free, Annually Renewable Resources. Toxin Free and Petroleum Free. Do NOT Contain Polypropylene or Polystyrene. Low Carbon and Low Energy Foot Print. Confirms to ASTM D 6400 & EN 13432 Standards. PE Coating on paper is not compatible with end of life operations. The paper biodegrades leaving fine line PE to pose huge damage to Life on Earth. Replacing the petro PE with bio based and fully biodegradable PLA coatings offer the value proposition of a reduced material carbon footprint. Our Cups offer safe water proofing, grease resistance and can be used for Hot Applications also. Sturdy - no need to double up. PLA lining for easy recycling or composting. PLA Resin is ASTM D 6400 Certified. Manufacturing of PLA products take less energy than plastic products.